Get Packed Pty Ltd supplies a wide range of protective packaging products specifically designed to protect items in transport and in storage. Depending on the value of your item and how it is being transported or stored are among the considerations that should be given when deciding on the best form of protective packaging for your item. Our products range from Instapak that will provide a custom fit foam package around the item to bubble wrap that wraps a sheet of air filled bubbles around the item to be protected, as well as fill air and void fill, mailing tubes and cardboard protective packaging. 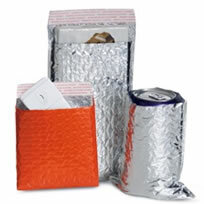 We also supply cushioned mailers, which are assorted sized envelopes that are padded to protect their contents during the mailing process and desiccants that will even provide protection from humidity, through to labels that will advise others of things like fragile, or heavy loads – whatever you wish, it can even be custom printed. Even stretch wrap that is coloured black so that onlookers can’t see the contents of pallets during transport, delivery or storage and pallet wrap that will keep loads together for storage or transport. 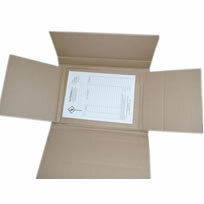 To help with your protective packaging requirements we have listed a few items that are supplied by Get Packed. Please feel free to contact us to discuss your needs or arrange somebody to come and visit you. 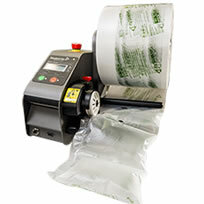 Instapak Quick RT is a convenient and mobile form of foam in bag protective packaging. This product protects items of almost any size, shape or weight, and it’s quick and easy to use. All you do is pat back and forth on the small bags and you instantly have custom fitted foam packaging that snugly fits and protects your item ready for transport. It comes in 5 different sizes ranging from 380mm-455mm through to 560mm-685mm. As the Instapak Quick RT foam in bag protective packaging only needs to be expanded when used, the equivalent of a room full of packaging material can be stored in a single carton. Customers receive the product damage-free in a neat professional package. 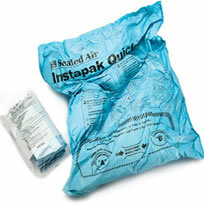 Instapak Quick RT foam in bag packaging is perfect for small to mid-size companies looking for the superior cushioning properties of Instapak foam protective packaging without a large up-front investment. There is no capital commitment or system required. We have a large range of Instapak Systems to suit based on the quantity and volume of Instapak foam packaging that is required. From the Instapak Simple system to suit those who just want the next step up from the Quick Bags, through to the larger Instapak 900 or 901 systems, or even the Instapak Complete system that will allow you to combine your own unique formulations.To see the whole range of Instapak Foam in Place packaging variaties available please either follow the link to Instapakpackaging.com.au or click on each of the images below for more individual information on each. To find out more information on each type ofInstapak alternative please click on the images below. Bubble Wrap is a commonly used form of protective packaging that is a sheet of air filled bubbles that is wrapped around the item to be protected. 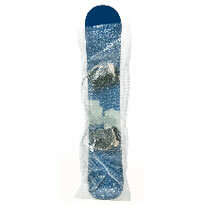 Get Packed’s range of Bubble wrap includes Envirobubble is made of up to 15% recycled content. They come in a range of widths and bubble profiles. 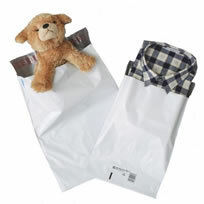 We also supply a range of Padded mailer bags that have a bubble wrap inner and paper or plastic outer shell. Bubble is fully re-usable making it an environmentally conscious form of protective packaging. We supply in three main bubble profiles which are 10mm, 20mm and 30mm to ensure the best possible protection for you product and is also available in roll, perforated sheets, or bubble bags. It is made of up to 15% recycled content. 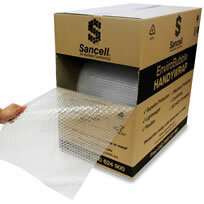 HandiWrap is a small roll (75m) of Environmentally friendly EnviroBubble bubble wrap that has been perforated every 400mm – i.e. sheets of 400mm x 375mm, with 10mm bubbles – in a dispenser box. 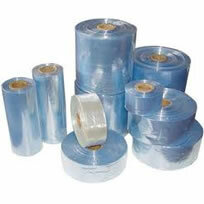 It is ideal for around the office for wrapping small objects or covering surfaces to prevent damage in transit. It is made up of up to 15% recycled content. Bubble bags come in a standard range of sizes (see the link below) or custom options, such as anti-static or laminated are also available, or can be made with a minimum depth of 100mm through to a maximum of 1.5 meters. Bubble bags are made of a twin layer bubble that provides security in transit, protects goods from external damage with bubbles that will not go flat and enables clear identification. 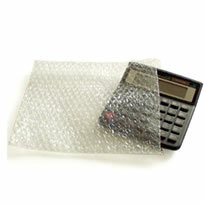 Applications for bubble bags include anything that requires the protective packaging of bubblewrap from furniture covers, sporting equipment or for little items such as jewellery or computer parts. ProtectaWrap is a furniture bubblewrap which offers superior surface and edge protection as well as cushioning which makes it perfect for storage and transport. It is moisture resistant, tear and puncture resistant and has the added benefit of being reusable. ProtectaWrap is made of 10mm non-abrasive bubblewrap, is available in light, regular and heavy grades, and comes in rolls of 1.5m x 100m. For a high quality finish Get Packed can also arrange for custom printing of your company logo. 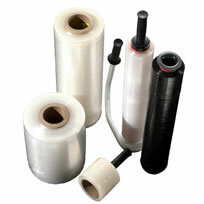 EBubble Tube is a continuous bubble wrap tubing that protects your product for sale, storage and transport. It is available in a standard 200mm opening with 50m of length which allows users to cut the bubble wrap tube to the desired length. 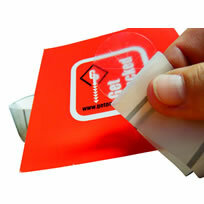 It can also be custom made to suit your required dimensions with perforations for easy tearing. Bubble Tube features a high slip inner surface that allows for easy loading and packing which will save you time in cutting and packing. The benefits of the soft protection of bubblewrap with the added insulation and reflective properties and radiant barrier of alfoil, alternatively metalised bubblewrap used within liners of cardboard boxes. 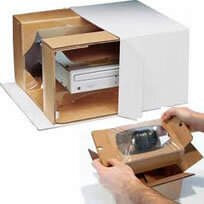 - twoideal forms of protective packaging to suit a dual purpose. Get Packed supply - Alfoil bubble wrap which is a lightweight foil backed bubblewrap that has tough insulation properties as well as Metalised bubblewrap which is a lightweight pliable insulation often used within liners of cardboard boxes. This adhesive backed bubblewrap will intimately wrap around and adhere to your product to provide a secure cushioning protection from its 10mm bubble. It is available in custom made options with different bubble profiles, grades and specifications. This product is suitable for use with most surfaces in most circumstances, but as we have no way of knowing the nature of the surface to which it will be applied or the circumstances in which it will be applied - therefore samples of the product would be made available on request for the purposes of testing the application. As such the suitability of this product will always be the responsibility of the customer. 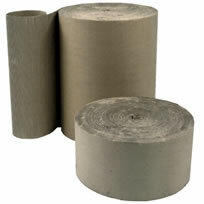 Poly Foam rolls are available in either 1mm thickness (x 100m and 500m), or 2mm thickness ( x 100m and 250m). 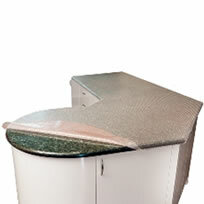 It has been designed to protect finishes surfaces and is made of low density polyethylene. It is 100% recyclable, non abrasive and water resistant. The new Air I.B. 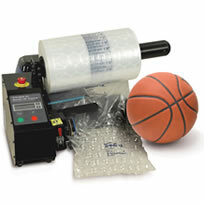 Express Packaging System from Sealed Air is an inflatable cushioning system that allows you to create your own Bubble Wrap or sheets of bubble. The Air IB Express packaging machine (pictured above) produces bubble wrap - or inflatable cushioning - in a 400mm width or 800mm width at speeds of up to 16.5 meters per min. The Air IB Express Packaging system allows you to customise your cushioning output whilst also being able to choose from two bubble strengths - regular or premium - and is available in both clear and grey/black. This machine can be purchased on its own or with a stand. Click on our shopping cart to view the sizes, codes and prices. 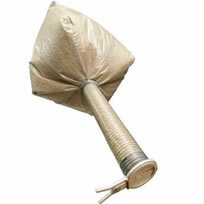 The latest from Sealed Air - the Fill-Air Rocket System inflates void fill material at 30 metres per minute. 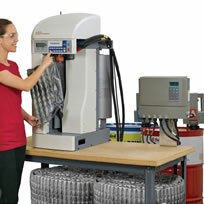 It is simpler and faster than previous Sealed Air Fill Air machines utilizing decades of product innovation. This simplified operation is plug and play basic after loading the film. Available in 400L bags, void fill (aka loose fill, void chips, foam peanuts) are a cost effective way of filling the void inside your packaging. Not only does it fill the voids but it provides a cushion within the packaging to avoid damage during the transport and storage process. 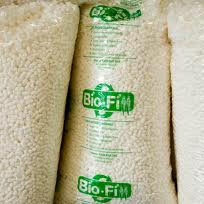 Get Packed supplies the biodegradable and environmentally friendly Bio-Fill. Bio-Fill has been manufactured from renewable resources being made 100% from natural starch making it compostable as well as static, odour and dust free. Ideal for anyone using void fill on a regular basis this Void Fill hopper or dispenser will hold up to 3 x 400L bags (1200 litres). The hopper hangs from the warehouse ceiling over your packing bench where you can easily open the handle and direct the void chips into your box or package. The Hopper comes complete with anchor bolts, pulleys and 8m of rope for easy set up. To get a better idea please view the video below. The Cardboard Perforating Machine (HSM Profipack) allows you to create your own cardboard packaging material out of used and unwanted cardboard boxes or cartons. The cardboard can then be re-used to wrap your goods - providing a protective cushion, or be used as an alternative void filler. Get Packed supply two models, either a desktop model, or a 3 phase more powerful and flexible model. View the video for more. 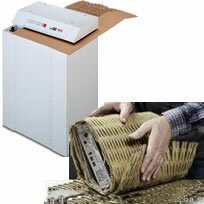 The Fasfil EZ paper void-filling packaging system creates a continuous supply of crimped 1 ply brown paper. The unique crimping mechanism helps make more efficient use of packaging materials by yielding more cubic meters. The FasFil EZ packaging system can deliver paper void fill at three different speeds so it can match your needs as well as providing a cushioned yet strong and non-migrating void filling protection. Black Padded mailers - matt black 100% blockout, bubble inner. Two inner layers made of up to 15% recycled content. 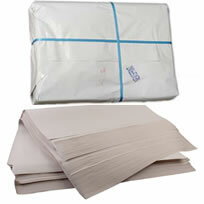 White Padded Mailers - satin matt outer and bubble inner. Two inner layers made of up to 15% recycled content. Shurtuff bags – high puncture resistant polyolefin multi layer matt plastic outer for easy writing - also available in a RoundTrip version which includes a double seal option to enable customer returns in the one secure and tamper evident bag. 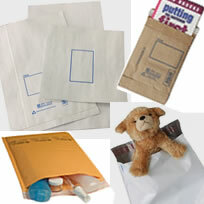 To find out more information or to purchase each type of cushioned mailer or bag please click on the images below. Standard durable spiral wand construction mailing tubes or postal tubes help to protect sketches, blueprints, graphs and posters as well as package other items like bottles. Plastic end caps are friction fit to stay in during mailing. The mailing tubes are made of 80% recycled cardboard and can be re-used making them an environmentally friendly alternative to plastic mailer bags. Get Packed supply them in white as a standard, but they are availalble as a custom order in brown. They are supplied with both end caps included in the price. 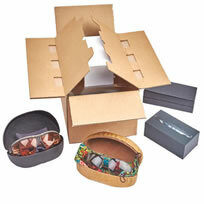 Single faced cardboard rolls - or corrugated cardboard are an easy and versatile form of protective packaging. 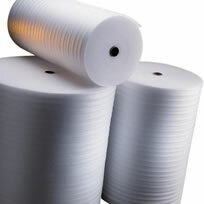 They are available in assorted widths from 610mm to 1525mm x 75m rolls. Ideally used to wrap items for shipping or posting or for interleaving between parts or products, Brown Kraft Paper is made from a recycled paper that is lightweight and economical. All widths (from 450mm - 900mm) come with a standard 25mm core to fit our dispensers which are available to suit widths of 610mm, 760mm and 910mm. 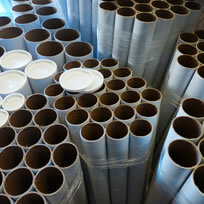 430mm x 580mm or 810mm x 580mm in bundles of 500. Get Packed supplies a wide range of standard sizes in cartons, but we also arrange custom sized boxes to best fit your product. And to brand your product we can also arrange for your boxes to be custom printed with your logo or other pertinent information. 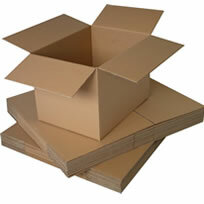 Corrugated cardboard is another form of protective packaging and comes in assorted roll lengths and widths. Maltese Cross Cartons are a wrap around protective style of cardboard carton. They are the flat pack packaging solution as they are ideal for items that need to stay secure, protected and flat during storage and transport - such as printed material, DVD's, CD's and books. The unique design of the maltese cross carton as the name suggests is a cross style carton with sacrifical buffering at either end of the carton which offers strength and protection for your items. 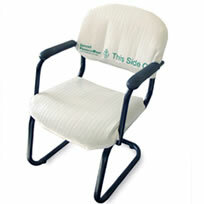 It is available in three standard sizes or can be custom made to your requirements. Korrvu Packaging is available in 3 designs. The first is Korrvu Suspension Packaging that suspends your product between two layers of high resilience low slip film providing consistent protection for fragile products (even after repeated drops). Second is the Korrvu Retention Packaging which includes a flexible retention film that is formed into an insertion pocket where the product is placed with a cardboard surround which when put together creates a cost-effective block and brace protection that showcases your product. Thirdly there is the Korrvu Hybrid Packaging which is a blend of the Korrvu Retention and Suspension Packaging. The Korrvu Hybrid packaging suspends the product away from potential impact areas while securing and retaining the product firmly in place. Using Sealed Air's unique patented low slip film as well as a currugated backing that positions and secures your items within a cardbaord carton - Korrvu Lok provides that professional looking package that assists in giving your customer confidence in the product they've purchased. 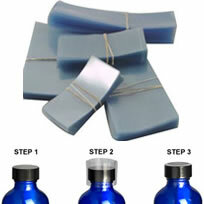 In using Korrvu Lok packaging there is no longer the need for bubble wrap or other form of protective packaging. This cardboard edge protector can be used with strap or pallet wrap to secure and help stabilise a pallet whilst protecting the corners or edges. They can be used around edges of not only pallets, but also any large item being transported and strapped to a truck to protect from scratches or to simply distribute the pressure of the straps. 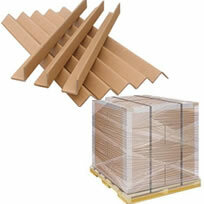 Edge Protectors will also provide protection of boxes on a pallet by maintaining the integrity of the packaging. Pallet wrap - or stretch wrap- is used to surround the contents of a pallet so that the contents are secure and unable to move around or fall whilst being transported in or on a truck, as well as protecting the goods from the elements. 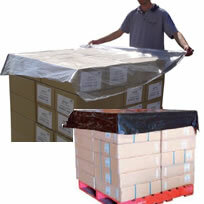 Black pallet wrap is also available and this is often used to obscure the contents from view - as well as to secure the load. Pallet wrap is available as a hand wrap as a standard or pre-stretched product as well as a machine pallet wrap used on pallet wrapping machines. See the images below for more information. 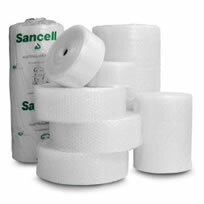 To find out more information or to purchase any type of pallet wrap or stretch wrap please click on the images below. 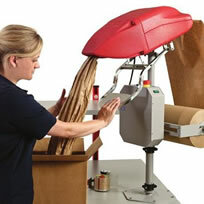 Pallet Bags are available in a range of sizes (in rolls). They are Ideal for securing heavy pallets, which can be shrink wrapped and protected from the elements in a matter of minutes through the use of a Gas Gun which is also available from Get Packed. LogiStrap Velcro strips are available in lengths of 5m with a 50mm width. These are unique in that they have a metal loop that allows the user to pull the strip tight around the package and then secure back upon itself. 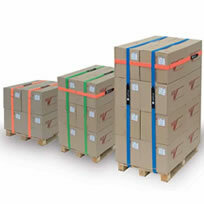 Logistrap velcro strips are commonly used in distribution centres and closed loop logistics to secure pallets, boxes, sleeves packs and collapsible containers. They can also be used to secure loads during transport. Shrink Sleeves, or Tamper Evident Seals and also known as Security Seals, are a plastic sleeve that is placed over the tops of bottles and jars. They are commonly used to provide a seal that when tampered or removed is obvious, thereby providing a sense of security to the seller and buyer that a product is safe for consumption. Shrink Sleeves are also used to bundle items together for promotional sales such as "buy one get one free". 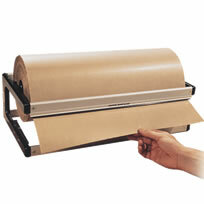 Shrink Sleeves are available in a roll or we can cut and perforate the roll for you at your pre-determined lengths. The sleeves are then placed over the the product and 'shrunk' through the use of a heat gun or heat shrink tunnel (depending on your quantities) thereby providing a snug fit that matches the contour of your product. Available either with star shaped perforations which when pulled make the label break apart, or without. Commonly used as a finishing touch on packaging such as gift cards in glossy bags and chocolate boxes or CD's and DVD's, they are also commonly used as a tamper evident seal that when broken are evidence of tampering. For large volume applications a Security Label Applicator is available - see video's below. 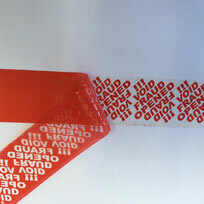 Marked with 'Void Fraud Opened' this red security tape simply can't be lifted without being obviously destroyed. To use - the tape is placed over the box or item being taped, then the liner is lifted/pulled off the tape which leaves the tamper evident layer behind. Shrink Film is commonly used to totally enclose an item in a seamless plastic wrap therefore any puncture identifies the item as no longer providing complete surety of tampering. If you consider items such as CD's, DVD's or even gift hampers - if the item is completely intact and seemlessly enclosed in a plastic film that has been shrunk to the exact shape of the goods - then you can be sure that all items are enclosed and no tampering has occurred. There are many different types of shrink film that provide for thickness and toughness required, as well as amount of heat required to shrink the film. These are the lightweight mailer of choice for e-commerce sales. They are made of a multi-layer puncture resistant film with a tamper resistant self seal closure. The latest addition to the Shurtuff range is the RoundTrip mailer which has the addition of another tamper resistant self seal strip which allows a customer to return an item using the same bag.